It’s Daisy, Esther and Susan’s third year at university, and with that comes new beaus, new jobs, and new adventures. The third (and final!) year of university is finally here, and BFFs Daisy, Esther, and Susan are in for some surprising upsets in their first semester. Between Halloween run-ins with Daisy’s dreaded (dreadful) ex, part time gigs at a shady pop-up Christmas market, Esther dating a tech-bro and Susan attempting to be…romantic, there’s still plenty to learn and more than enough misadventure to squeeze in before it’s time to don caps and gowns! 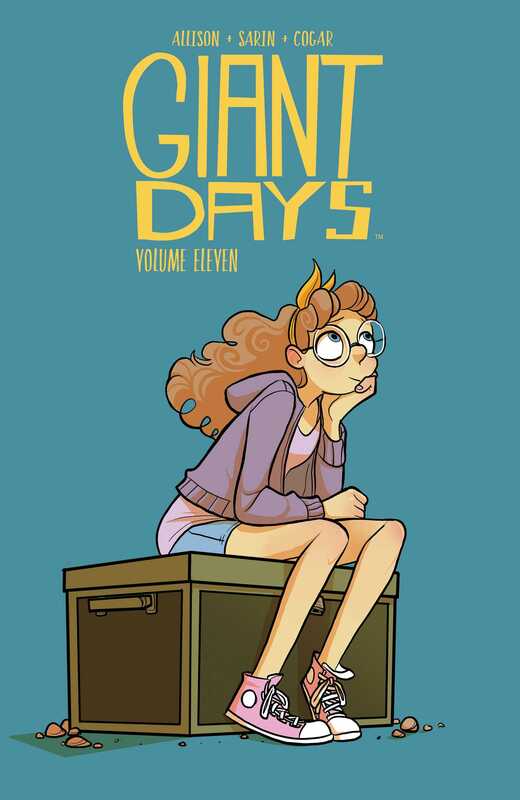 Written by John Allison (Scary Go Round, By Night) and illustrated by the incredible Max Sarin, Giant Days volume 11 kicks off third year with a bang, collecting issues #41-44 of the Eisner-Nominated series.